This is a simple climb to find, just follow the coast road towards Whitby. Once past Loftus and Easington you will then descend Potash Bank all the way to ‘Staithes Dip’. Once you’ve gone up the other side of The Dip take the right hand turn marked Roxby. You will now go down a short steep bank and the climb begins once the road starts to rise. 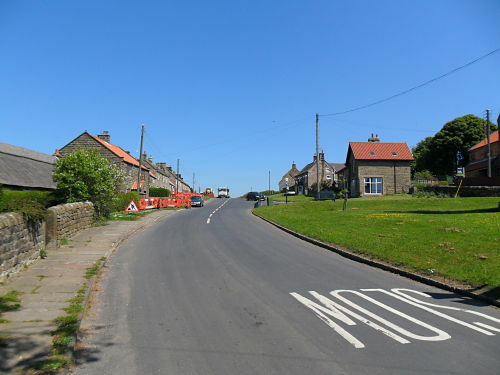 An alternative, and arguably better, though harder approach, is to take the Skinningrove to Boulby Village minor road ascending climb number 25 and descending climb number 26 before joining the coast road near the Potash Mine entrance. This is perhaps the most interesting route of those that link the coast road with the moor road. 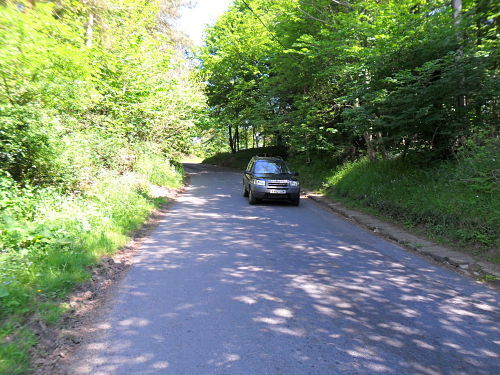 It has been used as a competitive Hill Climb in the past won by riders of the calibre of Paul Curran and Chris Newton. The climb is made up of 3 steep sections interspersed by easier sections. It starts quite steadily at about 5% or so then steepens to around 12% as you take a sharp right, then sharp left. Then it eases to only 2-3% or so for about half a mile and you have time to take in the rolling farmland that the climb cuts through for its entirety. Then it gets more painful as it goes sharp left before ramping up to around 12-15% after a sharp right hander, this is the toughest section and goes on for a testing 200 metres. Then you think it’s over, or at least the Club Run did as it flattens after 1.3 miles for about 2-300 metres, allowing full recovery, but it’s not! 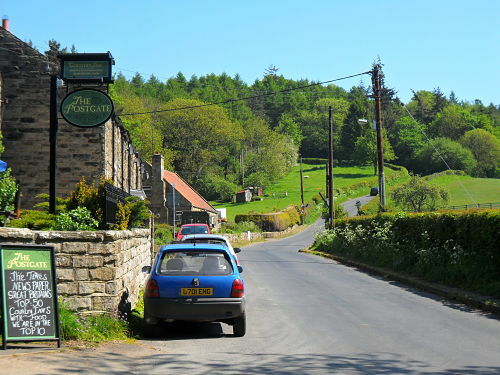 After a left hand bend it kicks up again to about 12% until you crest the brow of the hill, the road then flattens at a small row of houses to the left – Roxby village and the end. Another mile or so takes you to the moor road and the gateway to the really big climbs. This is a great descent, it twists and turns and the surface is not too bad so you can carry a decent amount of speed throughout. Care needed through steep sections, especially the middle section which has some tight turns at the bottom – one for the descending connoisseurs! Paul- 5. 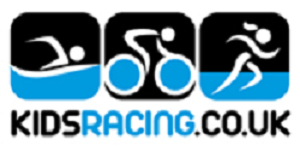 It is a long haul with a tough section at halfway but you do get the breaks which allow for full recovery. It’s not totally exposed like some climbs on this site but a strong headwind certainly makes this a test. As a competitive Hill Climb it must have been really tricky to get the effort right with the mixture of gradient and the length. The Club Run (John, John, Andy, Steve, Graeme, Ellis and Mick) thanked me for taking them up the climb and gave it a mixture of 5’s and 6’s.